A significant number of women have lower than recommended intakes of essential nutrients before falling pregnant. Blackmores Conceive Well (TM) Gold is formulated for pre-conception care, supplying the nutrients needed in preparation for conception and pregnancy. - Supplies nutrients that support normal ovulation and are associated with healthy conception. 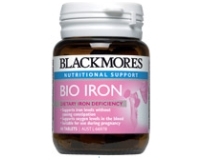 - Provides nutrients involved in very early stage of foetal development. 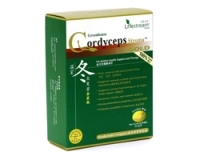 - Provides powerful antioxidant nutrients involved in normal conception. 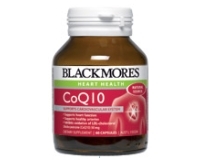 - Provides adequate levels of CoQ10, a natural antioxidant associated with a healthy early stage pregnancy. - Contains iodine which is important for baby's normal brain development, eyesight and hearing. Optimising iodine levels before pregnancy can take up to 5 months. - Contains a daily dose of 500 µg of folic acid which may reduce the risk of neural tube defects if taken for 1 month pre-conceptually and during pregnancy. - Contains tuna oil, a source of the omega-3 fatty acid DHA. - Antioxidants – are important for women attempting conception. Chances of conception increase in women with higher levels of antioxidants in the fluid surrounding their reproductive organs. - CoQ10 – Levels of CoQ10 decrease with age. Adequate levels of CoQ10 in the expectant mother are associated with healthy early stages of pregnancy. - Iodine - is important for the normal functioning of the thyroid gland as it is an essential nutrient required for the synthesis of thyroid hormones. Thyroid hormones affect almost every cell in the body and regulate oxygen use, metabolic rate and cellular metabolism. Iodine plays an important role in normal brain development and eyesight. - Tuna oil - is a source of omega-3 long chain fatty acids. DHA is particularly important for the normal function of the brain, and for development of normal eyesight. - Folic acid - plays a role in DNA and RNA synthesis, and is therefore critical in cellular division. In order to divide properly, cells need adequate folate. The development and growth of a foetus involves constant cell division, which can lead to an increase in the mother’s demand for folate. - Vitamin C – is needed for hormone production and may help to stimulate normal ovulation. The developing egg needs adequate vitamin C to mature. The ovary contains one of the largest ascorbic acid stores in the body. - Vitamin D3 - supports calcium absorption and is essential for building and maintaining healthy bones. Low vitamin D levels are common in women during pregnancy. - Iron - a component of haemoglobin, an essential component of red blood cells. Haemoglobin transports oxygen in the body. Having optimal haemoglobin levels helps the cells of the body receive sufficient oxygen. Early foetal brain development requires adequate iron. - Zinc - essential to good health as it is involved in many enzyme reactions in every cell of the body. Adequate levels of zinc support normal conception and are essential for a healthy baby’s normal growth and development. - B group vitamins - play an essential role in the production of energy and support normal conception. For more information on planning conception visit www.preconception.com.au, a one-stop shop providing you with key information when trying to fall pregnant. Once you fall pregnant we recommend you switch to Blackmores Pregnancy & Breast-Feeding Gold, a premium pregnancy formulation containing vitamins, nutrients and essential fatty acids beneficial for both mother and baby. Adults - Take 1 capsule and 1 tablet daily with a meal, or as professionally prescribed. Ideally taken up to six months before conception. - This product contains selenium which is toxic in high doses. A daily dose of 150 µg for adults of selenium from dietary supplements should not be exceeded. - Consult your healthcare professional before use if you have had renal calculi (kidney stones). Ascorbic acid may increase the risk of recurrence of calcium oxalate calculi. - Not to be taken if on warfarin therapy without medical advice. - Consult your healthcare professional before use if suffering from a thyroid condition. - Do not exceed the stated dose of folic acid except on medical advice. If you have had a baby with a neural tube defect you should seek specific medical advice. - Not to be taken with Blackmores Pregnancy & Breast-Feeding Gold, Blackmores Folate, or other folic acid containing supplements. Not for the treatment of iron deficiency. - Recommendation - Have a full medical check-up with your doctor before trying to conceive. - Zinc, magnesium and iron may decrease the absorption and efficacy of some medications. If taking tetracycline or quinolone antibiotics, separate doses by at least two hours. - Iron may decrease the absorption and efficacy of some medications. If taking methyldopa, carbidopa, levodopa, thyroid hormone, penicillamine, or bisphosphonates (osteoporosis drugs) separate doses by at least two hours. - Iodine may interfere with treatment for thyroid conditions. Consult your healthcare professional before use if being treated for thyroid disease.